Today Higher Heights unveiled #BlackWomenVote, a web resource for Black women voters. Higher Heights, a group dedicated to building a national civic engagement infrastructure and network to strengthen Black women’s leadership capacity, will use the next 30 days until Election Day, to encourage Black women to turnout in high numbers during the midterm election. Black women are among the country’s most politically active citizens. In 2012, Black women had the highest rate of voter turnout of any group, and they represented almost 60 percent of Black voters who went to the polls. These statistics are clear evidence of Black women’s ability to be defining factors in election outcomes. However, in the 2010 midterms, just 46.5 percent of Black women voted. #BlackWomenVote aims to provide Black women with the tools to increase their turnout for the midterm elections. The website and toolkit includes features such as; a “Pledge to be a Higher Heights Voter”, a “Personal Voting Plan”, a “Knowing your Voter Status” guide, a do-it-yourself “Sister-to-Sister Calling List”, as well as an “Activate your Online Network” checklist. “The Status of Black Women in American Politics” report released by Higher Heights earlier this year provides a comprehensive historical outline of Black women’s struggle for political representation and discusses the current landscape of political leadership for Black women across the country as well as their growing political influence. 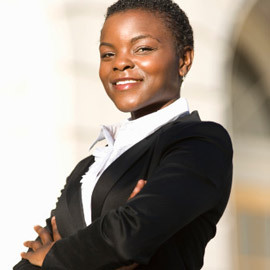 It demonstrates the need for greater engagement, recruitment, and inclusion of Black women in politics and government. The report notes that Black women are 7.4% of the U.S. population and 7.4% of the electorate. However, there are only 14 Black women in Congress (2.6%), 2 Black women in statewide elected executive office, and 241 Black women in state legislatures (3.3%). Follow the conversation on social media for the next 30 days at #BlackWomenVote.